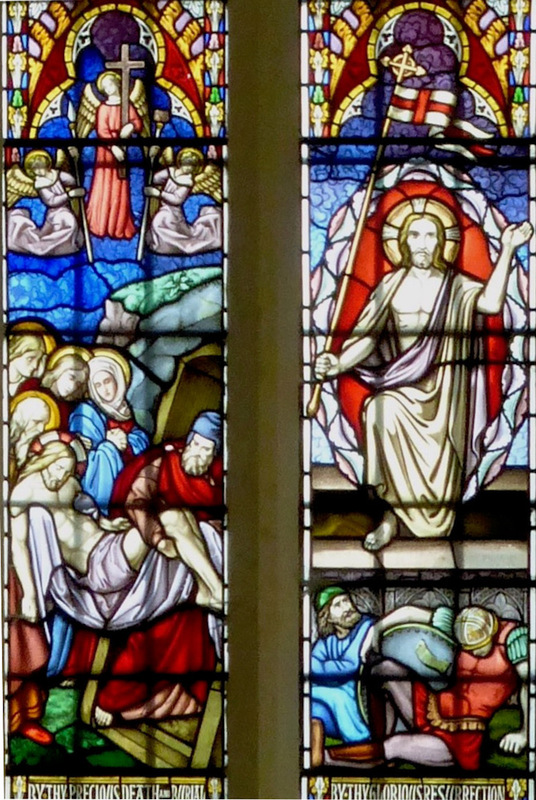 East Window (Crucifixion and other scenes from the Life of Jesus, by Michael O'Connor (1801-1867), dating from 1856, in Holy Trinity, Church Street, Bradford-on-Avon, Wiltshire, a Grade I listed church. The chancel of this ancient church was lengthened in about 1300-10, so the window would date from then: "E window, five lights, the first and last taller than the others, and a big circle with three pointed trefoils between" (Pevsner 128). This is seen best from the outside, as shown in the last photograph here. 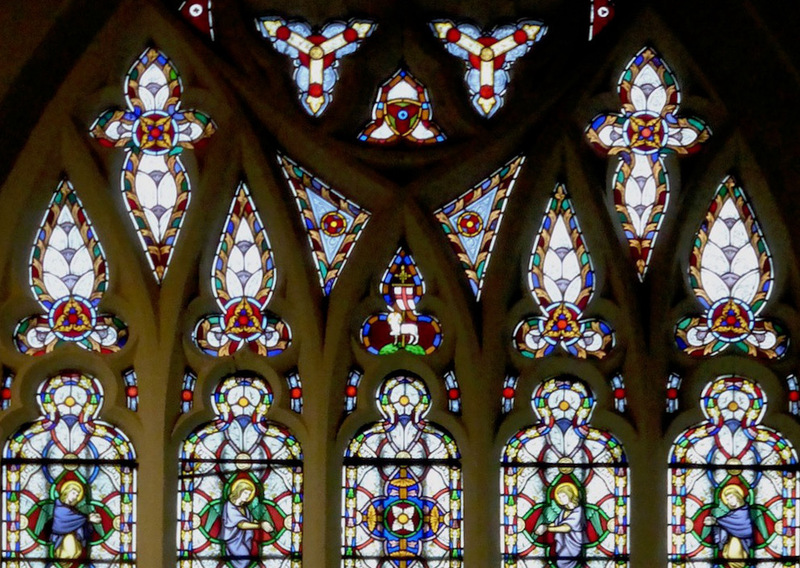 Bright, attractive patterning, the Agnus Dei and angel forms in the tracery. 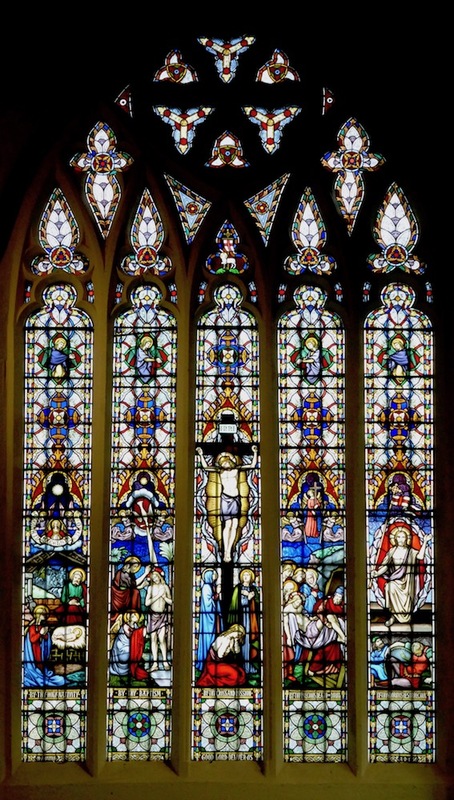 The listing text describes the stained glass in the church as good, and picks out O'Connor's east window as "highly coloured" though there is a good deal of white glass in it too: the effect is very attractive — it shimmers in the sunlight. 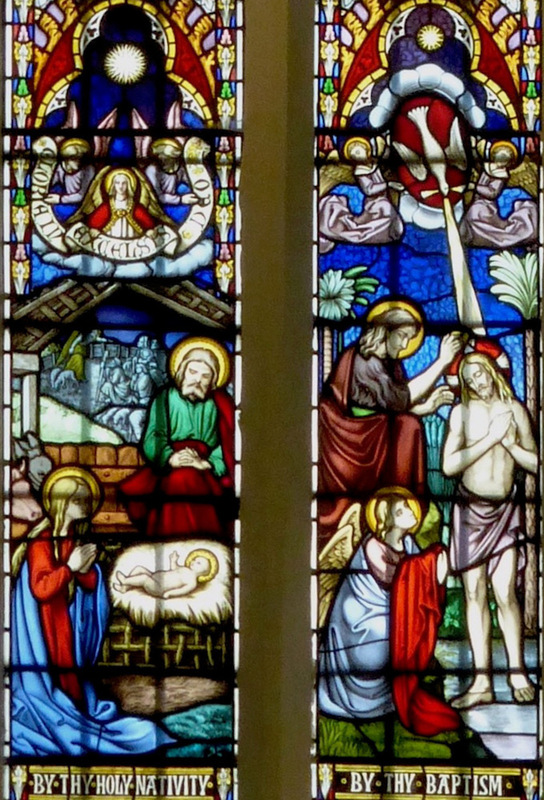 Left: The Nativity, and the Baptism of Christ. Right: The Entombment and the Resurrection. 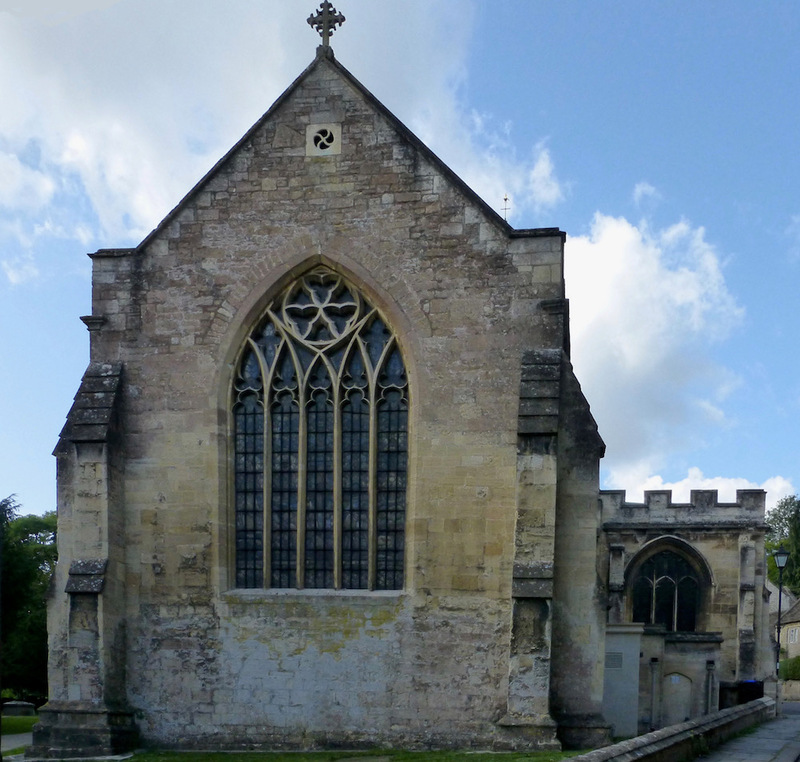 The west end of Holy Trinity, Bradford-on-Avon. Photographs, text and formatting by Jacqueline Banerjee. You may use these images without prior permission for any scholarly or educational purpose as long as you (1) credit the photographer and (2) link your document to this URL in a web document or cite it in a print one. Click on the image to enlarge it. "Holy Trinity Church." Historic England. Web. 25 August 2018. Pevsner, Nikolaus, revised by Bridget Cherry. Wiltshire. 2nd ed. New Haven and London: Yale University Press, 2018.